Q: Do you offer the OEM service9 A: Yes, we can offer OEM service and design the logo marking for you. Q: What is your delivery time9 A: It is in 6-8 working days since the payment confirmed . If quantity is more than 100pcs /order, it will need extra 3-5 working days . As a manufacturer with so many years experience that we can supply beautiful products at a veryfavorable price for you. 3). All of our products are produced according to the strict standards of CE and ROHS,and all of exports ware tested using standard equipment to ensure precision before shipment. We provide one-stop services, from conceptual design to prototyping to mass production. the measurement unit can be selected according to different requirements. * Low-friction ball-bearing design allows free vane movement. Our products gain acceptance from users in domestic and aboard for years. 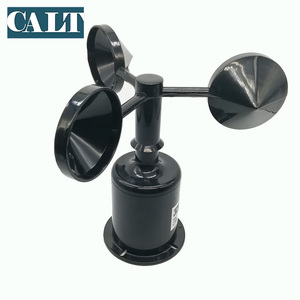 WTF-B200 wind vane anemometer offers users a very effective easy to use solution for monitoring wind speed and wind direction. Application - Cranes - Weather - Agriculture - Hydraulic and Hydroelectricity - Construction - Education Main function a. Automatically detect the signals of wind speed and direction and put into the instrument for micro computer processing; b.
Xi'an Zhongming Electrical Corporation Ltd.
Ultrasonic wind speed&direction sensor can measure wind speed&direction at the same time. 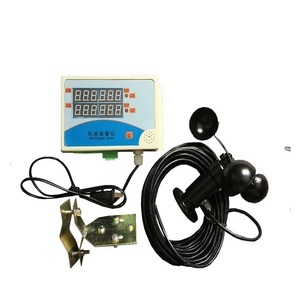 Ultrasonic wind speed and direction sensor has low power consumption and can be equipped with a solar charging board for mobile weather monitoring. The method accurately measure wind speed and even the speed of ultrasonic waves, and measure wind speed and direction in a single direction s imultaneously . 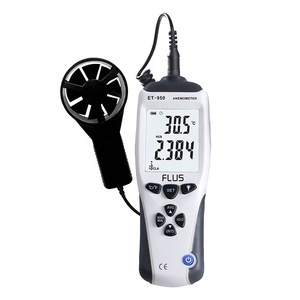 measuring wind speed wind speed anemometer analog anemometer measuring wind speed analog anemometer wind speed anemometer Description : This unit is an ideal tool for windsurfing,sailing,fishing,kite flying and mountaineering. 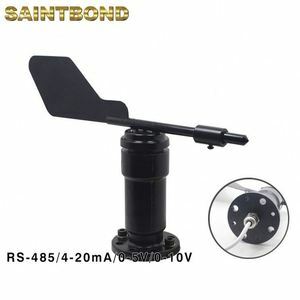 You can also use it for industrial and home purposes such as measuring wind speed and temperature of CPU computer fans,air conditioners,air blower. Air velocity unit range resolution threshold accuracy M/s 0~45 0.1 0.3 &plusmn;3%&plusmn;0.1dgts Ft/min 0~8800 19 60 &plusmn;3%&plusmn;10dgts Knot 0~88 0.2 0.6 &plusmn;3%&plusmn;0.1dgts Km/hr 0~140 0.3 1 &plusmn;3%&plusmn;0.1dgts Mph 0~100 0.2 0.7 &plusmn;3%&plusmn;0.1dgts B.
Alibaba.com offers 504 analog anemometer products. About 27% of these are sensors, 18% are wristwatches, and 15% are speed measuring instruments. 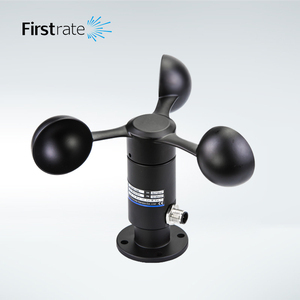 A wide variety of analog anemometer options are available to you, such as free samples, paid samples. 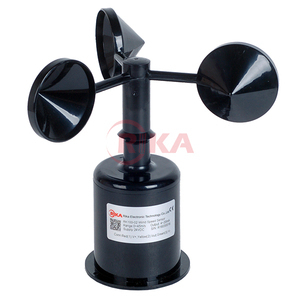 There are 424 analog anemometer suppliers, mainly located in Asia. 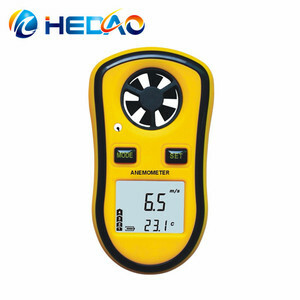 The top supplying countries are China (Mainland), Hong Kong, and India, which supply 79%, 20%, and 1% of analog anemometer respectively. 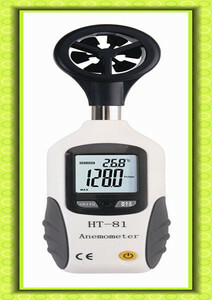 Analog anemometer products are most popular in North America, Western Europe, and Eastern Europe. You can ensure product safety by selecting from certified suppliers, including 141 with ISO9001, 70 with ISO/TS16949, and 17 with Other certification.